How Art and Science relate? When people usually talk about Art and Science, they think of them as two differently unrelated fields. So how can we relate Art with Science? Art and Science are the means of understanding everything around us. We human as a species are afraid of things that are unpredictable, Art and Science are the ways to understand this unpredictability. Art and Science are analogous to each other. Both of them strive to see the world in a new way and communicate with that vision. What we really understand when we say “Art”? Art just exists, it can be defined as “the portrayal of one’s feeling in any possible way”. Whereas Science is “a logically proven explanation for everything happening in our Universe”. When it comes to similarities, Science and Art both are fruits of same tree. Both of them involve analysis of the subject, ideas, theories and hypothesis which are expressed in some ways. Artist similar to scientist perform study of their subject before their portrayal. In ancient Greece, the word for art was techne, from which technique and technology are derived, terms that are aptly applied to both scientific and artistic practices. Most of the Renaissance period inventors were artists. The famous Leonardo Da Vinci was an artist inspired by scientific research. His paintings were inspired by study of corpses, and he used science to solve artistic problems. Not only him, many other Renaissance period painters and sculpture artists including Michelangelo were anatomists. 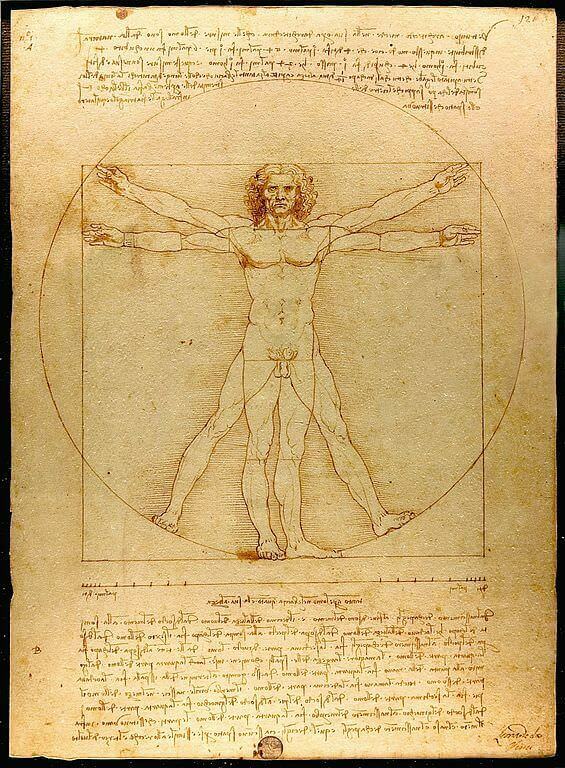 Leonardo’s Vitruvian Man is another example of how Art relates with Science. Vitruvian Man is still considered as a standard to understand male anatomy and is taught to medical sciences. Another Dutch Painter Johannes Vermeer’s paintings were astronomical which glorified Science but on other hand they were also artistic. These paintings expressed the true nature of material world. Another example is Golden Ratio which is equal to 1.618 & and the Fibonacci sequence. Almost every artistic formation is based on the golden ratio, it helps the art to feel more attractive. Golden Ratio can be encountered in almost every artistic formation found in nature. From our earlobes to the ratio of our hands and limbs to the shellfish’s shell, they can be found everywhere. Even the nature follows certain artistic order which can be explained by Science. These are some of the examples where art relates with science. Almost every artistic work is somehow scientific. As it can be explained by the tools of Science. Even there have been various attempts to understand art through science. Including the Scientific Study of “fading smile of Mona Lisa”, study of various ancient artistic architectural marvels for their relationship with Science.